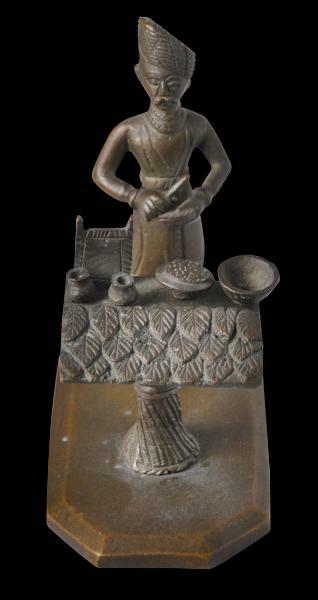 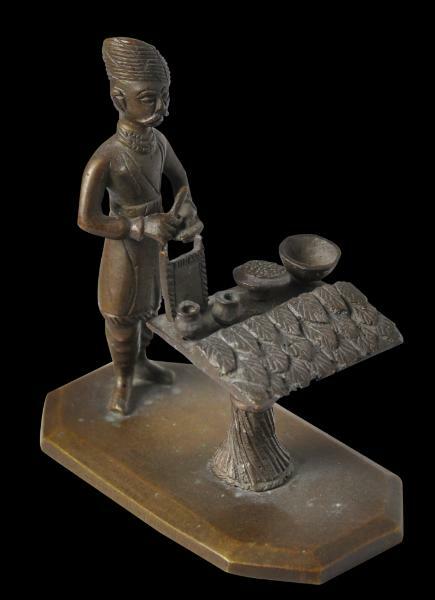 This delightful cast bronze image shows a northern Indian betel nut or paan seller, at his stand, preparing a betel nut quid. 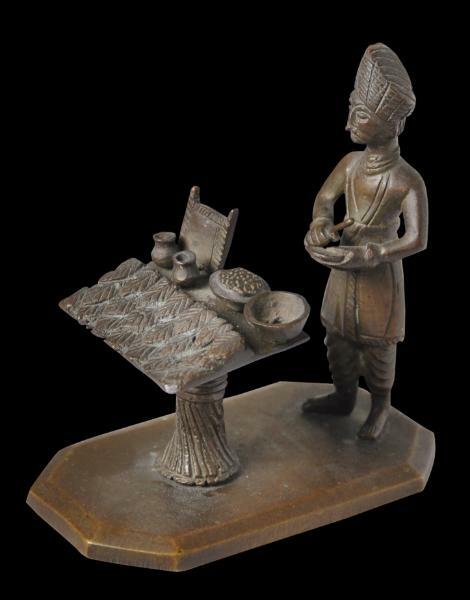 A dish of betel or areca nuts, a pot for holding powdered lime, and rows of leaves that will be used to wrap the betel quid for chewing are among the items laid out on the stand before him. 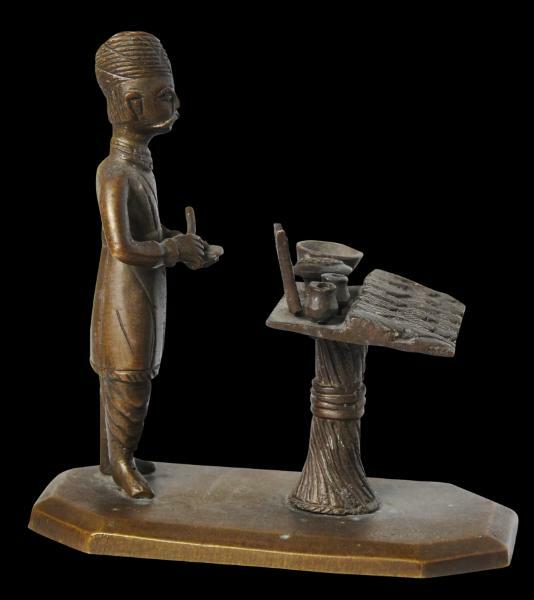 The stand has been cast separately and can swivel around to suit display purposes. 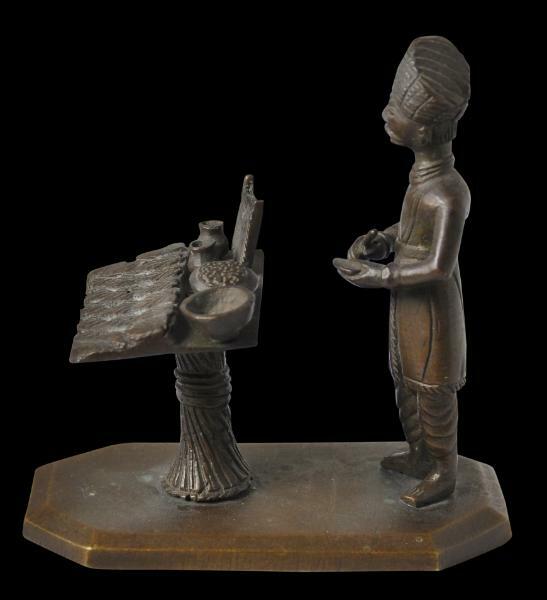 Such an image most probably was produced in Calcutta or elsewhere in India’s north for the colonial trade. 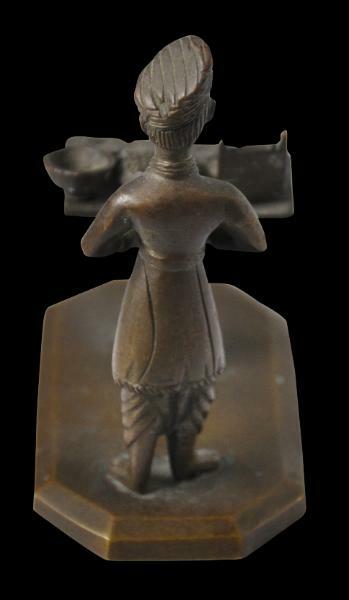 It has an aged patina and is without losses.